The Spine & Rehab Group (Riverdale) - Book Appointment Online! Whether you've had a recent injury or you've been suffering for a long time with back or neck pain, that's all about to change. 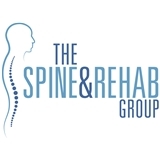 At The Spine & Rehab Group we do things differently - our approach ensures that you get the right care from the right providers and that your treatment starts as soon as possible. The Spine & Rehab Group is a unique resource - a comprehensive, collaborative patient-centered approach to caring for patients with neck or back pain. We take a holistic view of the patient. Our team reviews each case to determine the best course of action and to develop a custom treatment plan tailored to meet your needs. In addition to total care coordination, our comprehensive services include everything from high-tech diagnostic imaging to physical therapy, acupuncture, and minimally invasive spine procedures. Excellent! Highly recommend Dr. Connolly. She was very professional. Dr. Mehta is professional and very intelligent. I have been seeing him for awhile now and he has really gotten me feeling better. My back has actually never felt this good. I'm so happy I found him. I'd reccomend him to anyone. The staff is also great.